Here's a dream crossover: The Punisher and Agent May. Ming-Na Wen posted a photo on her personal Instagram account from "Heroes and Villains Fan Fest" in Portland. 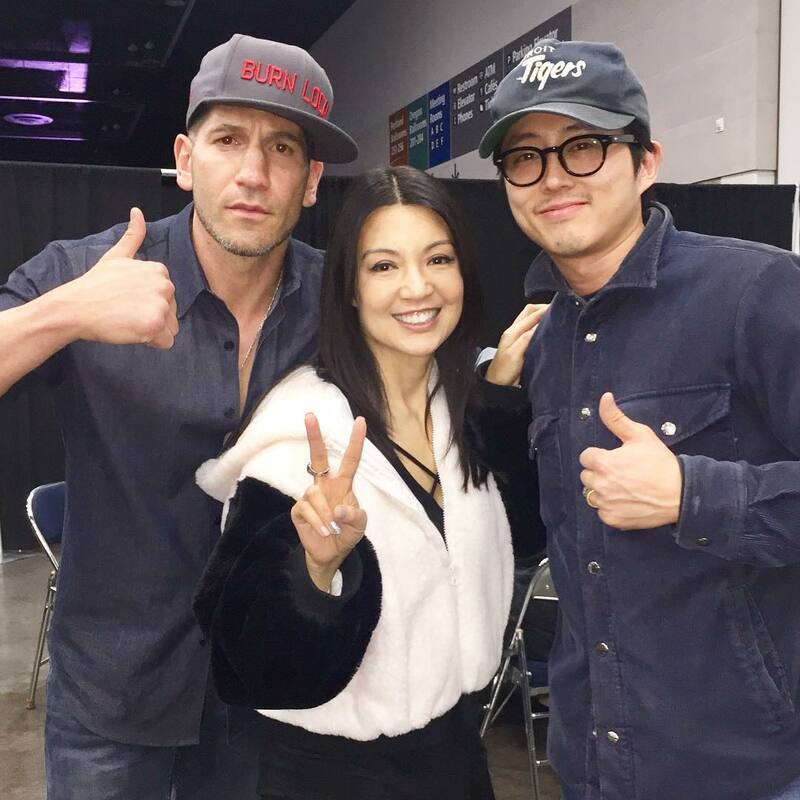 She snapped a pic of her meeting Jon Bernthal who plays Frank Castle aka The Punisher in the Netflix series Daredevil and Punisher. Also in the shot is Steven Yeun, who's best known for playing Glenn on The Walking Dead. She captioned it "Bada** boys and Panda Ming". While there's no talk about having the Netflix series crossover with the ABC series everyone can agree it would be awesome. Considering it's rumored ABC is considered canceling Agents of SHIELD I won't hold my breath. But I can dream. Would you watch a crossover episode of Agents of S.H.I.E.L.D. guest-starring the Punisher?